The NBA world blew up Thursday afternoon, with reports that New York Knicks’ star Kristaps Porzingis was unhappy quickly followed by the news that he was traded to the Dallas Mavericks (along with Tim Hardaway Jr. and Courtney Lee, for Dennis Smith Jr., DeAndre Jordan, Wesley Matthews and “draft compensation”). And as usual for big NBA moves, this led to some incredible Twitter commentary. Here are a dozen of the best tweets around it, organized according to theme. NBA players weighing in: This sparked commentary from everyone from the Sixers’ Joel Embiid to the Knicks’ own Kevin Knox. 1/31/19. 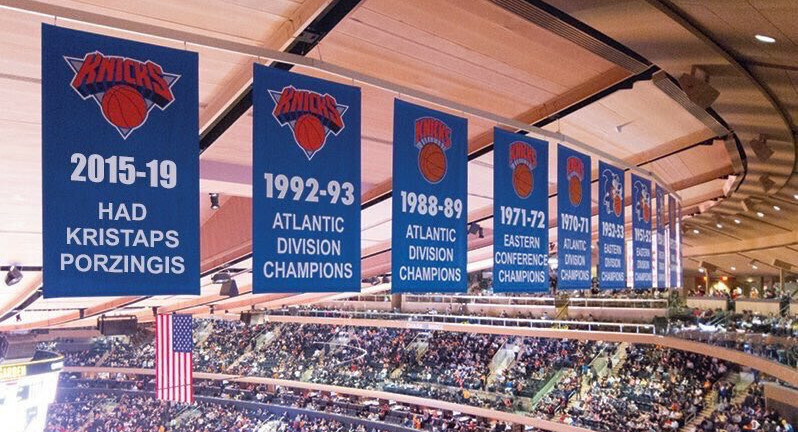 The day I stopped being a Knicks fan after 30 years. What a joke. It’s actually a relief. Can’t take this anymore. "Billionaires earned their wealth through their savvy." Thoughts on how Stephen A. Smith will take this: Who needs Smith’s actual reaction when Twitter can predict it? The Knicks plan is to sign both Harper AND Machado. A shot at the team’s summer plans: At least they’re using the cap space for something, right? A response to Joel Embiid: And last but not least, that Embiid tweet from earlier got some great responses, but this one particularly stood out.